How do you follow a genuine drug breakthrough, a cure for hepatitis C? Andrew McConaghie visits Gilead’s headquarters near San Francisco to hear how the company plans to sustain its huge success. 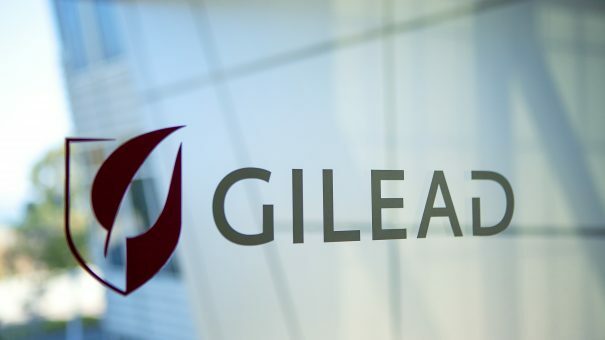 Gilead has enjoyed unprecedented, stratospheric success since the launch of its hepatitis C (HCV) drug Sovaldi in December 2013. That’s because Sovaldi and its follow-up Harvoni offer that rare thing, an outright cure. The drugs have transformed the outlook for people with HCV, with almost all of the 600,000 patients treated so far able to look forward to a life free of the disease. Around half of those who have received the drug are in the US; ex-Baywatch star Pamela Anderson recently became the most high profile case, declaring herself cured (though not saying whether it was a Gilead or rival product) after living with the disease for more than a decade. The numbers treated so far are just the tip of the iceberg – an estimated 185 million people worldwide are infected with the virus, which slowly and silently ravages the liver for years, symptoms often only emerging once the disease is advanced. If it remains undetected, the individual can develop fibrosis and cirrhosis, and may eventually need a liver transplant. Previous drug regimens took months of treatment, with many patients failing to clear the virus completely, but Sovaldi and Harvoni have changed the outlook completely. Followed closely by rival direct-acting antivirals (DAAs) from AbbVie, Merck and Janssen, the drugs now offer a cure to more than 90 per cent of patients (depending on their genotype) within as little as eight weeks. Although it will be decades away, the global elimination of HCV is now a realistic prospect. The enormous success of its HCV drugs has equally transformed Gilead, making it one of the world’s most valuable companies. The Sovaldi/Harvoni franchise is set to become the biggest-selling product in the world this year, with forecast 2015 sales of $18 billion. HCV patients’ gain has been payers’ pain, however. The high cost of the drugs has created a huge problem for healthcare systems around the world, and the firm has been forced to offer substantial discounts on its prices, particularly in the US, where Sovaldi costs $84,000 for a course of treatment, or $1,000 per pill. However even this pushback from payers has only tempered the firm’s growth slightly. Revenues rocketed to $8.21 billion for the third quarter, up an exceptional 38 per cent compared to the same period last year. This puts the company on track to earn more than $30 billion for the full year, pushing it up the industry rankings and likely to overtake ‘big pharma’ stalwarts GlaxoSmithKline (GSK) and AstraZeneca. There are clear signs, however, that the explosive increase in Sovaldi and Harvoni sales is now slowing, with sales actually slipping back slightly between Q2 and Q3 this year. Inevitably, investors are hungry for more growth, and are asking what the firm can do to maintain its stellar performance. Many investors would welcome Gilead spending its spare billions on buying another big pharma or biotech company – chief executive John Martin paid out $11 billion to snap up Sovaldi (sofosbuvir) and the company which discovered it, Pharmasset, in 2012. Martin and his team have shown themselves adept at spotting golden opportunities in M&A and in-licensing, such as Sovaldi, over the years. But acquisitions alone can’t be relied on to sustain a company, which means the in-house R&D team must develop its own breakthroughs. The company’s research chief is Norbert Bischofberger and he and his team are ambitious to keep pushing on to the next big challenge – and re-orientate their R&D focus when necessary. Illustrating this point is a bold declaration from Bischofberger that Gilead has already ceased drug discovery in HCV and in HIV therapeutics – as there is nothing more to be done. He explained that the company had looked at how to shorten treatment time for HCV even further – down to six weeks – but found that cure rate dipped below the 90 per cent threshold, and said anything less was now deemed not acceptable. The firm’s HCV research drug discovery team moved on to hepatitis B (hep B) a year-and-a-half ago, aiming to improve treatment, and ultimately find a cure. Similarly, Gilead has stopped its HIV treatment discovery programme because there is little room for improvement, with these teams instead pursuing the holy grail – a cure for HIV. Gilead feels it has the best-placed R&D team to achieve this feat. So is a cure is possible? “I think we are far away, but I think it is possible,” stated Bischofberger, adding that he had never thought a HCV cure would come so quickly. HIV treatment has been the core of Gilead’s 25-year success, and where it first employed a strategy of canny treatment combinations discovered in-house, and those discovered externally. This approach helped it overtake then-market-leader GSK in around 2007, with drugs such as Viread, Truvada and Atripla (the latter a joint venture with Merck and Bristol-Myers Squibb [BMS]) now forming the backbone of HIV treatment around the world. These drugs have become market leaders, by taming the once-deadly HIV, turning the virus infection into a chronic disease, treatable with a single daily combination pill. But an outright cure still evades Gilead and its rivals in the space, most notably ViiV (GSK’s joint venture with Pfizer and Shinogi). One reason why current therapies can’t cure HIV is that antiretrovirals cannot kill off the virus entirely – it evades elimination by hiding inside cells called CDF lymphocytes. Bischofberger explained that the challenge is to eliminate these cells without causing an immune catastrophe. Gilead’s leading candidate for a cure, GS-9620, uses a tactic known as ‘kick and kill’, in which these latent cells are stimulated into an active mode. The theory is that the immune system can then recognise the infected cells and kill them. After promising signs in animal studies, the drug is now in phase I trials, with initial results expected in the first half of 2016. GS-9620 is also being investigated as part of a cure strategy for hep B, a virus that also evades detection by the immune system. Animal studies suggest the drug could provide a ‘functional cure’ for the disease, which, if translated into humans, would be an enormous breakthrough. The company is also developing another compound, GS-4774, a therapeutic vaccine which stimulates a T-cell response to the hep B virus. Hep B is an even bigger problem worldwide than hepatitis C – there are an estimated 350 million chronic patients globally, versus 150 million with HCV, according to the World Health Organisation. In commercial terms, however, hep B is likely to be less lucrative: a greater proportion of hep B patients are in the developing world, where profit margins would be smaller for any company developing a cure. On the other hand, the drugs could require a longer treatment time than Sovaldi and Harvoni, resulting in more sustained revenues. While sofosbuvir didn’t originate from Gilead, the firm’s researchers did discover and develop ledipasvir, the NS5A inhibitor which combines with sofosbuvir to produce Harvoni. The Harvoni combination has shown itself to be best in class, despite competition from Merck, AbbVie and Janssen. Now all that remains in HCV – at least in R&D terms – is to extend these cure rates and simplified regimens to patients with the most advanced disease or most hard-to-treat of the six different ‘genotypes’ of the disease. Gilead recently re-confirmed its dominance in HCV treatment with data from a new fixed-dose combination of sofosbuvir and a next-generation NS5A inhibitor, velpatasvir (GS-5816). New trial results were presented at the annual meeting of the American Association for the Study of Liver Diseases, this year held in San Francisco, just a few miles from its headquarters in Foster City. Across the six different genotypes in HCV, the relatively rare genotype 3 is now the most hard to treat and the most aggressive. But the new combination has shown high cure rates even in these patients. By being ‘pan-genotypic’ the new combination would also do away with the need to test patients for their genotype. This would be a huge step forward in the developing world particularly. These advances set Gilead up for a decade or more of continued growth in developed markets, with healthcare systems now under pressure to give the drugs to more diagnosed patients, and to uncover more undiagnosed sufferers. At the same time, Gilead will face continued pressure on its prices, and will have to show further leadership in helping patients in emerging markets get fair access to the drugs. Talking about the emerging science in Gilead’s pipeline and in the wider scientific world, Bischofberger displays an irrepressible interest in all fields of medicine, not just his specialist areas, having written a paper on Alzheimer’s diagnosis recently. Sketching out different viruses like old friends (or rather old adversaries) on the whiteboard, Bischofberger jumps from one exciting scientific idea to the next with dizzying speed. This buzz from new ideas is in the Californian air. Gilead’s location in the San Francisco Bay area makes it part of perhaps the most ambitious and innovation-driven ecosystem in the world – Silicon Valley, home to innovators such as tech giants Google, Apple, Facebook and electric car pioneers Tesla, not to mention Genentech and Amgen and a host of biotech start-ups. Asked about how new technologies might revolutionise drug discovery and healthcare, Bischofberger doesn’t get starry-eyed about the potential – he makes it clear that ‘the sky’s the limit’ thinking isn’t helpful for drug researchers who, he says, work best when they have a single, well-defined problem to solve. Nevertheless, he cites a number of emerging areas which have huge potential. He casually mentions a recent meeting with Andrew Conrad, head of Google’s Life Sciences division, saying they had discussed the potential of data derived from wearables, next-generation diagnostics and health monitors. Bischofberger wouldn’t say if Gilead is planning to work with Google, but clearly this is the ‘disruptive’ approach that rivals are investigating – Novartis and Sanofi are already working with the tech giant on miniature wearable monitors in diabetes. Despite this enthusiasm for new approaches and tech links, Gilead’s Foster City has few of the off-the-wall workplace novelties seen at tech firms, such as the bowling alley and beach volleyball at Google’s headquarters in Mountain View. Collaborative working is in the air, however: drug development teams have rigged up an Xbox in one area of Gilead’s continually-expanding facility, allowing teams to scrutinise and discuss 3-D models of new molecules, waving their hands to change the movement-activated screen. Otherwise, there is no ‘secret’ to the company’s success – researchers say Gilead has always worked in small-scale teams, with chemists and biologists working on a variety of projects, helping them to transfer insights and solutions from one project to another. Above all, researchers say dedication, good science and, just as importantly, good luck, are all needed to develop a medicine successfully. He says other areas are also exciting. The microbiome – the native ‘friendly bacteria’ in the human gut – plays a huge role in regulating health, with numerous companies developing drugs which restore a healthy microbiome, and could thereby treat a wide range of conditions. Most major pharma companies are engaged in oncology R&D, such are the scientific and commercial opportunities for new cancer treatments. Gilead is no exception, but unlike in HIV and HCV, it is just a fledgling oncology business, certainly compared to the current leaders such as Roche, Novartis, Merck and BMS. Chronic lymphocytic leukaemia (CLL) drug Zydelig is Gilead’s lead cancer treatment, but this looks set to remain second best next to AbbVie/Janssen’s rival treatment Imbruvica, which is easily outstripping it in revenues. Commenting on the difference between cancer research and virology, Bischofberger says the field is far less predictable. There is huge excitement in the field around new immunotherapy drugs, led by BMS’s Opdivo and Merck’s Keytruda, but Gilead doesn’t have a direct stake in this field. However one of the most eye-catching molecules in Gilead’s pipeline is GS-5745, currently being investigating in a startling range of indications: gastric cancer and solid tumours, plus no fewer than four inflammation/respiratory settings – ulcerative colitis, Crohn’s disease, COPD and rheumatoid arthritis. The drug inhibits MMP9, an enzyme which plays a key role in the immune system. Bischofberger says there are no other companies with such a drug in their pipelines, adding that it could represent ‘a substantial market’. While oncology will be an important area, virology and the liver are clearly areas where Gilead will seek to maintain a lead. The firm is developing GS-5374, a therapeutic treatment for Ebola – recently supplying the investigational drug on a compassionate use basis to treat the British nurse Pauline Cafferkey, whose Ebola infection had returned. Cafferkey has now recovered from her second life-threatening episode. Bischofberger says Gilead knows it will never make money on the drug, but points out that it represents its commitment to global public health, particularly in the developing world. A condition which is very much a disease of the developed world – and also potentially hugely lucrative – is Nonalcoholic Steatohepatitis (NASH). A chronic liver disease characterised by inflammation and excessive fat accumulation in the liver, the condition can lead to progressive fibrosis, cirrhosis and liver failure, and is predicted to become the main reason for liver transplants by 2020. NASH is estimated to affect 10 to 20 per cent of people in the developed world, and therefore represents a huge, untapped market for the company which can develop an effective treatment – analysts forecasting annual sales of $35-40 billion by the 2020s. Gilead has two NASH candidates in phase II development, simtuzumab and GS-4997, but it is certainly keeping its eyes open for more promising candidates emerging from outside its own labs – the tactic which worked so well in HCV and HIV. In January, Gilead in-licensed a new treatment from Phenex Pharmaceuticals, a private German biotech developing drugs called farnesoid X receptor agents. Meanwhile, two biotech firms, Intercept and Genfit are seen as the firms most likely to reach the market first, but doubts about the efficacy of their candidates mean no-one, including Gilead, has yet swooped to acquire them. Bischofberger concludes that there are “myriad external possibilities” and it seems certain that Gilead will make a move some time in the near future. The company will need to maintain its mix of good judgement and good luck to maintain its success. However, asking it to repeat, or even surpass, the superlative story of Sovaldi and Harvoni may prove impossible, at least in commercial terms. But, while investors might grumble at lower profits, developing a cure for HCV and HIV would put beyond question Gilead’s reputation as one of pharma’s most successful innovators. Please note this article was updated on 30th November to include amended pipeline drug names – GS-5745 had been incorrectly listed as GS-5816 and GS-4997 was identified as GS-4887.